As healthcare in the United States continues to evolve, patient education is increasingly important. We're committed to providing educational materials that can help, so you can focus on the one thing that matters most—the patient. Download patient education resources you can customize for your facility. 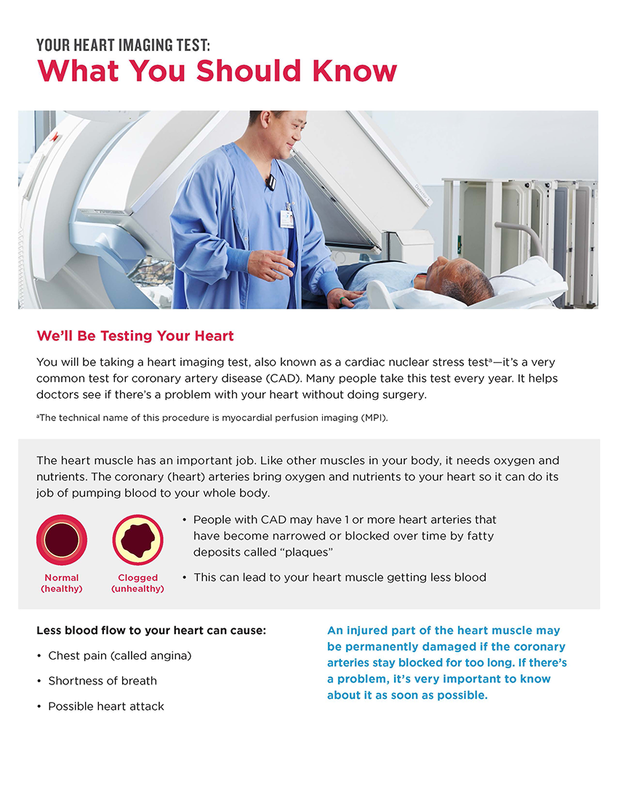 Access educational resources such as the Stress Test Coach handout to help prepare your patients for cardiac imaging tests. 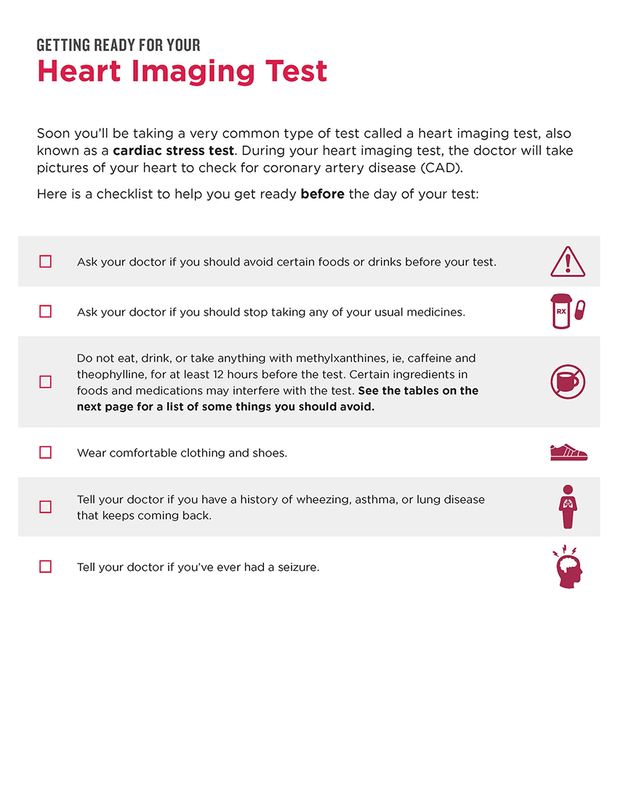 Visit this site to preview the Stress Test Coach—an online resource for patients who are preparing for a cardiac stress test. It can help them learn more about types of stress tests, how to get ready for a test, and what to expect on the day of the test. 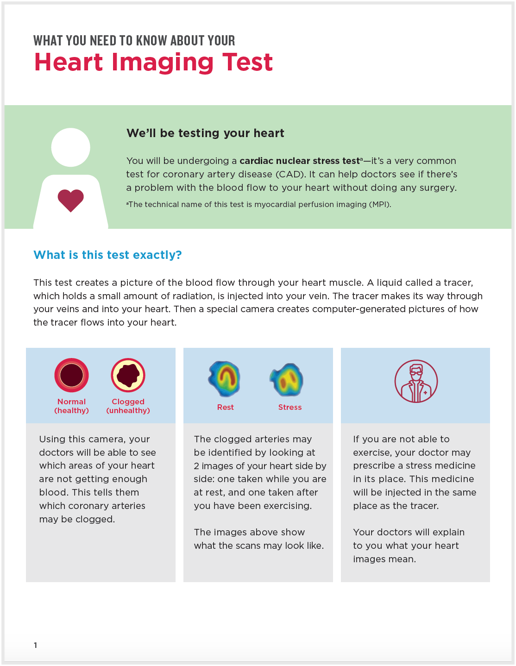 This 8-page brochure details what patients can expect during a cardiac stress test procedure and how to prepare for it. 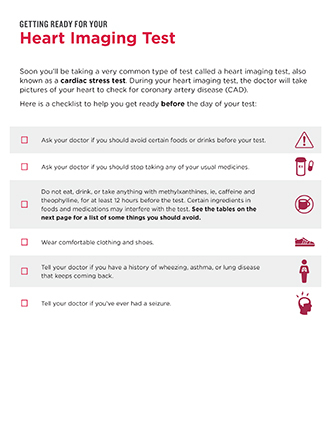 This 2-page checklist will help your patients prepare for their stress test, and it includes information about foods and drinks they should avoid before the test.